Dr. Colby’s clinical practice specializes in the open surgical and minimally-invasive endovascular treatment of cerebrovascular disorders of the brain and spine. His research explores technical advances to improve patient outcomes and the development of novel devices to treat cerebrovascular disorders. He joins UCLA from The Johns Hopkins University School of Medicine, where he was an Assistant Professor of Neurosurgery, Neurology and Radiology. During his tenure there, he co-authored more than 60 peer-reviewed papers. He served as the principal investigator for many clinical studies testing endovascular devices used to treat cerebral aneurysms and stroke. His passion for teaching earned him the Department of Neurosurgery Chairman’s Award of Excellence, and the Neurosurgery house staff at Johns Hopkins presented him with the Richard J. Otenasek, Jr. Faculty Teaching Award. Dr. Colby received his M.D. and Ph.D. degrees from Columbia University. He completed his internship and neurosurgery residency at The Johns Hopkins Hospital, as well as a two-year fellowship in endovascular neurosurgery and interventional neuroradiology. He joined the Johns Hopkins faculty in 2013. 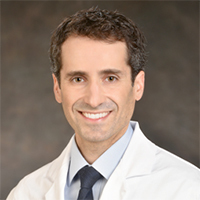 We are thrilled to have recruited Dr. Colby from Johns Hopkins to join the faculty of the UCLA Departments of Neurosurgery and Radiological Sciences, Division of Interventional Neuroradiology and look forward to him working with the rest of the UCLA Health community.